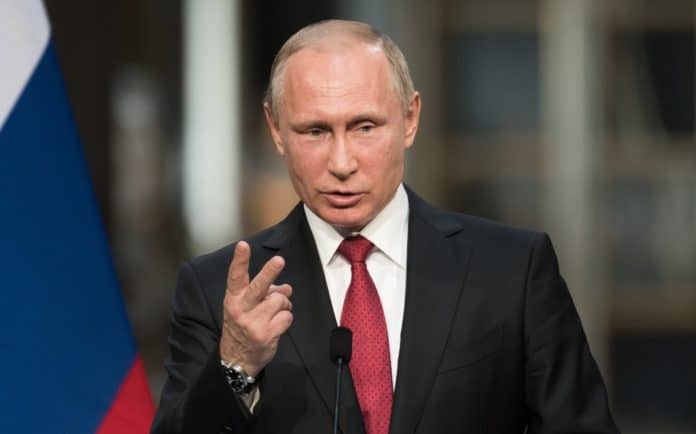 Russian President Vladimir Putin has said Russia has suspended its obligations under the Intermediate-Range Nuclear Forces (INF) Treaty, one day after the United States made a similar announcement. Putin met in Moscow on February 2 with Foreign Minister Sergei Lavrov and Defense Minister Sergei Shoigu to discuss Russia’s reaction to the long-expected U.S. move. On February 2, Washington said it had formally notified Russia and other treaty parties of the United States’ intent and suspended its obligations under the INF. Putin ordered Lavrov not to begin any new INF talks with the United States, saying Moscow will wait to see if Washington responds to any of Russia’s earlier proposals on saving the agreement. 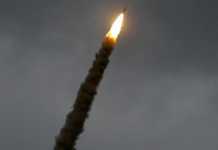 Meanwhile, he said the Defense Ministry will begin developing new nuclear-capable missiles, including supersonic ones. He added that Russia should avoid being drawn into a new and costly arms race and said Moscow would not deploy any new weapons unless the United States did so first. Lavrov said he believes the U.S. suspension of the INF Treaty jeopardizes other arms-control agreements, including the New START pact, which is set to expire in 2021. Lavrov also accused the United States of violating the Treaty on the Nonproliferation of Nuclear Weapons (NPT) by participating in nuclear-weapons exercises with NATO-member countries that are not among the five nuclear-armed states under the NPT. “That is an outright violation of the Nonproliferation Treaty,” Lavrov told Putin. The foreign minister also said Washington had “lost any interest” in the possibility of joining the Comprehensive Nuclear Test Ban Treaty (CTBT). The U.S. State Department said in a statement on February 2 that the United States could not be restricted by the treaty while Russia violated it. Moscow’s reaction comes after U.S. Secretary of State Mike Pompeo announced that as a result of what he called years of Russian violations, Washington would no longer abide by the key Cold War-era arms-control pact. 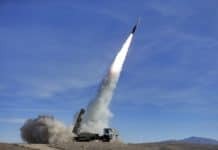 “The United States will therefore suspend its obligations under the INF Treaty effective February 2,” Pompeo said. 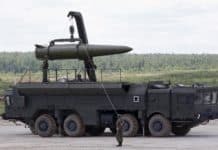 The INF Treaty was signed in 1987 and bans the development, production, and deployment of ground-launched cruise or ballistic missiles with ranges between 500 and 5,500 kilometers. The agreement was the first of its kind to eliminate an entire class of missiles. Moscow denies it has violated the treaty and has called on Washington to offer proof of its allegations. Foreign Minister Lavrov on February 2 countered that Washington had violated the treaty by developing combat drones with similar characteristics to the banned ground-based missiles. Putin said U.S. tests of missile-defense weapons also violated the INF agreement. Beijing on February 2 urged Moscow and Washington to come together to preserve the treaty. “China opposes the United States’ move to denounce the treaty and urges the U.S. and Russia to properly settle the differences through efficient dialogues,” a Chinese Foreign Ministry statement said. 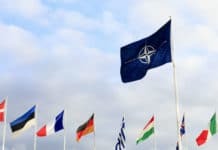 NATO allies issued a statement saying they “fully support” the U.S. decision to withdraw from the INF Treaty. 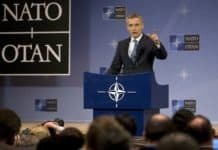 “All NATO allies support the U.S. decision today to start the withdrawal process, but it will take six months before that process is completed,” NATO Secretary-General Jens Stoltenberg told the Associated Press. 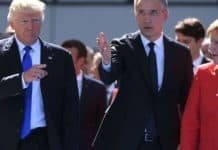 “We continue, therefore, to call on Russia to come back into compliance and fully respect the INF Treaty,” he added. The United Nations secretary-general, Antonio Guterres, said he hoped Moscow and Washington use the six-month period to reach a new agreement.